Duncan Keith & Keith Relief surprise The Martens with a gift this holiday season. Watch the heartwarming video to see what the surprise is! Learn more about Keith Relief by clicking the button below! BlackhawksTV and Jackie Kostek gives us an inside look as LOCASH performs at Duncan Keith’s annual concert benefitting Keith Relief. View past Keith Relief concerts here. The Chicago Blackhawks Foundation announced today that defenseman Duncan Keith will hold his annual charity concert benefitting Keith Relief on Monday, Feb. 26, 2018, from 7:00-10:30 p.m. at Joe’s Bar on Weed Street (940 W. Weed St., Chicago), featuring country music duo LOCASH. A silent auction will be open throughout the event, in addition to a live auction prior to the concert. General admission ($80 each) and VIP tickets ($275 each). All proceeds will benefit Keith Relief and Ronald McDonald House Charities® of Chicagoland and Northwest Indiana. The event will include a VIP reception prior to the concert from 7:00-8:00 p.m. with many current Blackhawks players in attendance. 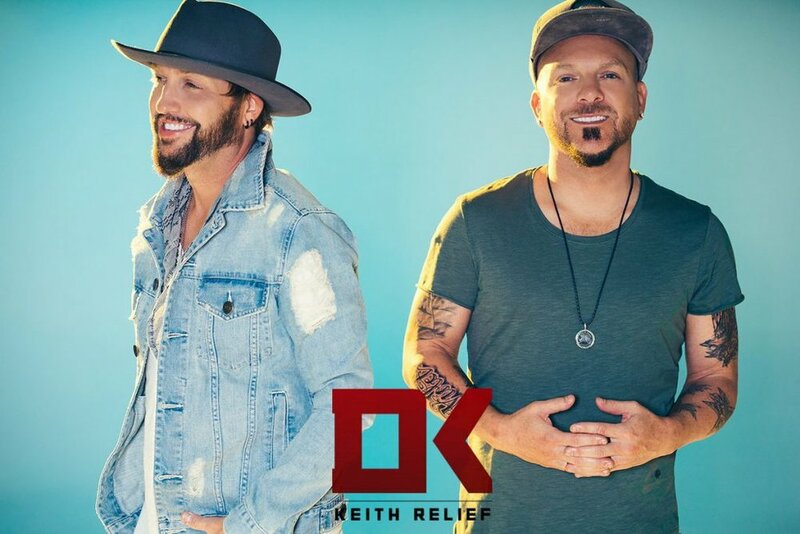 LOCASH, best known for their hit single, “I Love This Life” and current single, “I Know Somebody,” will perform from 9:00-10:30 p.m.
Watch a video recap of the 2017 Keith Relief Benefit Concert with country music star Tyler Farr. Created in 2011, Keith Relief is dedicated to alleviating the financial and emotional burdens of families and individuals dealing with medical crises. As a partner of Ronald McDonald House Charities of Chicagoland and Northwest Indiana, Keith Relief sponsors a special transplant floor dedicated to pediatric transplant patients and their families at Ronald McDonald House® near Lurie Children’s, the nation’s largest Ronald McDonald House® located downtown Chicago. This concert marks the sixth of its kind for Keith Relief. In 2017, approximately $150,000 was raised for Keith Relief and Ronald McDonald House Charities® of Chicagoland and Northwest Indiana through the benefit concert. A brief recap of the 2017 Keith Relief Concert with country music artist Tyler Farr, Duncan Keith and the Chicago Blackhawks. The concert benefited Keith Relief & Ronald McDonald House. View previous Keith Relief Concerts here. A video recap from BlackhawksTV of the 2016 Keith Relief Concert with Dustin Lynch. View other Keith Relief Concert's here. A video recap of the 2015 Keith Relief Concert with the Eli Young Band. 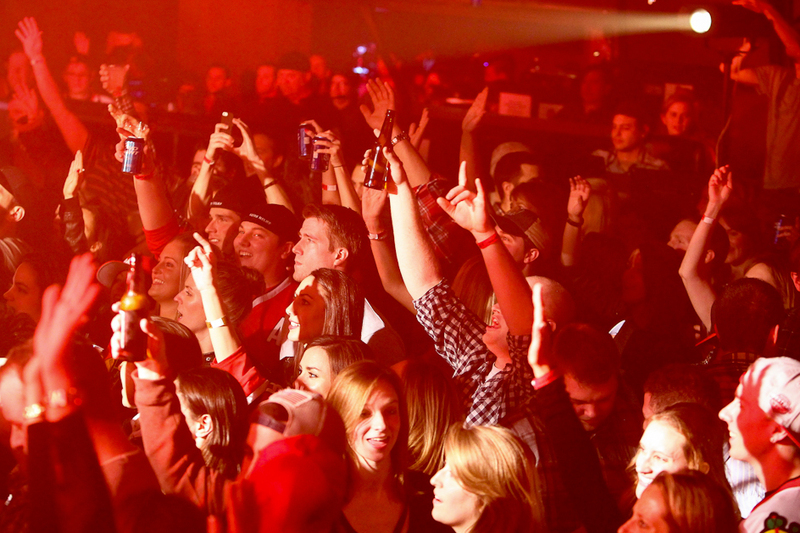 The first Keith Relief Benefit Event & Concert was a tremendous success! Hundreds of fans attended the Benefit Event & Concert at Joe's Bar on Weeds St. to help raise money and awareness for Keith Relief, a charity that was started in 2011 by Duncan Keith. 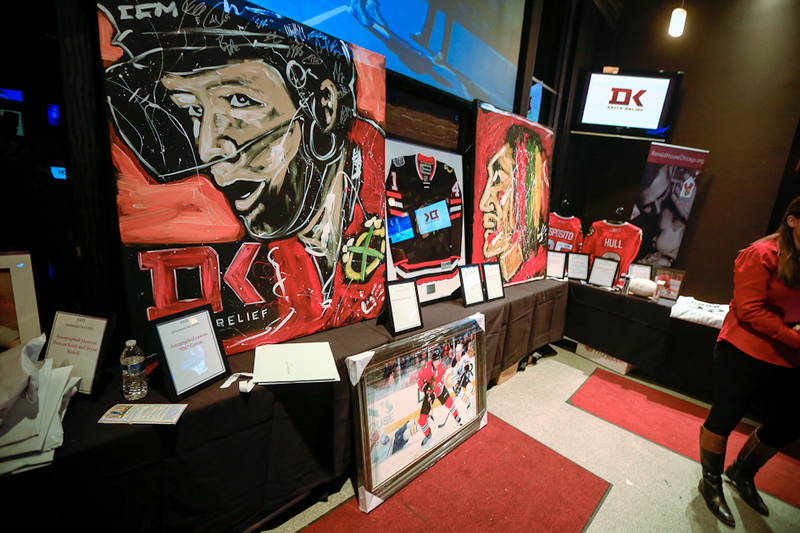 The event included food & drink, a concert from country music superstar Jerrod Niemann, admission to a silent & live auction, and the opportunity to interact with the Blackhawks as they served as celebrity bartenders throughout the night. Keith Relief was founded in 2011 by Chicago Blackhawks defenseman, Duncan Keith. The charity is dedicated to alleviating the financial and emotional burdens of families and individuals suffering from medical crisis. Chicago, IL – Duncan Keith, Defenseman for the Chicago Blackhawks, has launched a new charity, Keith Relief, dedicated to alleviating the financial and emotional burdens of families and individuals suffering from medical crisis in the Chicagoland area. After learning about the number of families living without health insurance or significant resources, Duncan made it a personal mission to assist those suffering from unplanned medical crises. Keith Relief has partnered with Ronald McDonald House Charities® of Chicagoland & Northwest Indiana, whose mission is to improve the health and well-being of children in Chicagoland and Northwest Indiana. Proceeds raised through Keith Relief within the first year’s fundraising efforts will benefit the Ronald McDonald House Charities® of Chicagoland & Northwest Indiana. Visit www.ronaldhousechicago.org for more information. The charity was launched at a red carpet event on Wednesday, October 26th at The Renaissance Blackstone Chicago Hotel. Selected as the fourth quarter beneficiary of the Blackstone Chicago Hotel’s “Dollar for Dreams” program, the partnership kicked off with an intimate fund raiser with Chicago’s most notable sports media personalities, members of the Blackhawk team, team sponsors and VIP guests. Chicago Blackhawks Duncan Keith's Foundation, Keith Relief, Partners With Ronald McDonald House Charities® in Support of World's Largest House in Chicago. OAK BROOK, Ill., PRNewswire via COMTEX/ -- Stanley Cup Champion, Olympic Gold Medalist and Norris Trophy winner Duncan Keith, has partnered with Ronald McDonald House Charities of Chicagoland and Northwest Indiana (RMHC-CNI) on behalf of their foundation, Keith Relief, to sponsor a transplant floor in RMHC-CNI's new Chicago House. The Keiths' partnership will benefit the new, world's largest Ronald McDonald House which is currently under construction at 211 E. Grand in Chicago's Streeterville neighborhood. Located near the new Ann & Robert H. Lurie Children's Hospital of Chicago, the 14-story House will have 86 rooms to provide care and comfort for the families of hospitalized children each and every day of the year. Keith Relief will sponsor one of the two special transplant floors of the new House, dedicated to pediatric transplant patients and their families. With a full kitchen, as well as a refrigerator and television in each room, both floors are specifically designed to meet the needs of families whose children need to stay near the hospital post-transplant for up to three months following surgery. In addition, Keith Relief will co-brand the charity's infamous Ronald Van, which is onsite at every RMHC-CNI event and is seen extensively throughout the Chicagoland area. Keith founded their organization in 2011 after receiving expensive medical bills following a surgical procedure. Realizing that hefty medical bills are something that many families are burdened with, the couple started their foundation in an effort to assist families and individuals suffering from medical crises. With the current economic crisis in mind, Keith Relief also aims to help those who do not have proper access to health insurance, in addition to the charitable work they do in their home away from home, Chicago. "Ronald McDonald House Charities is such a great organization and we are proud to support their cause," said Keith. "We love Chicago, and Keith Relief has allowed us to give back to the city and people who have welcomed us with open arms." "Everyone in Chicago has treated us so well, so we are thrilled to help out," the Keith's added. "The transplant floor at the new Ronald McDonald House will provide the comfort and care that these families so desperately need during this difficult time." Always located in close proximity to major children's hospitals, RMHC-CNI provides a "home away from home" for families of pediatric patients being cared for in area hospitals, while also proactively reaching out to children in need with mobile medical care and educational opportunities. "We are honored to have Duncan Keith and his foundation in partnership with us," said Doug Porter, CEO of RMHC-CNI. "We are so glad that he is using his stature in the community to help families in need, and this partnership will make a significant difference for the new Ronald McDonald House in Chicago." The world's largest Ronald McDonald House is scheduled to open in June 2012. RMHC-CNI is committed to helping the Chicagoland and Northwest Indiana community by keeping families together when they need it most. It is with the generous support of sponsors and other charitable organizations, that they are able to make this possible.